That’s what Michael Meehan the chef and part owner of Radio Radio said when he and his partners opened the super casual Vauxhall in Huntington Village. They're still at it, and Meehan is true to his word with the rollicking Radio Radio Vauxhall’s next door neighbor. And what do you know, it’s a bistro. Its store front window accurately proclaims “Southern bistro+barbecue”. 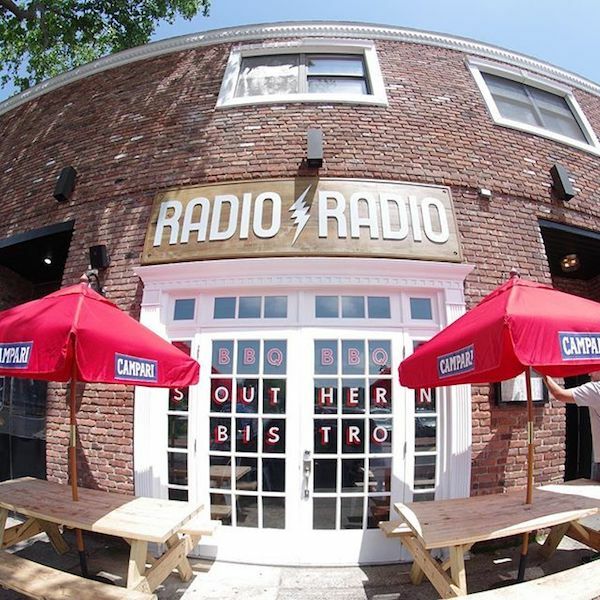 Mr. Meehan is doing double duty cooking at Radio Radio and Vauxhall. Like Vauxhall, Radio Radio generates a laid back, down home, music-driven vibe (soul, southern rock, rockabilly, and plenty of Elvis Costello). This loud, 50 seat spot is decorated with car parts, license plates and 1930 and 40’s radio surfaces. Food comes on metal trays and drinks are served in Mason jars. 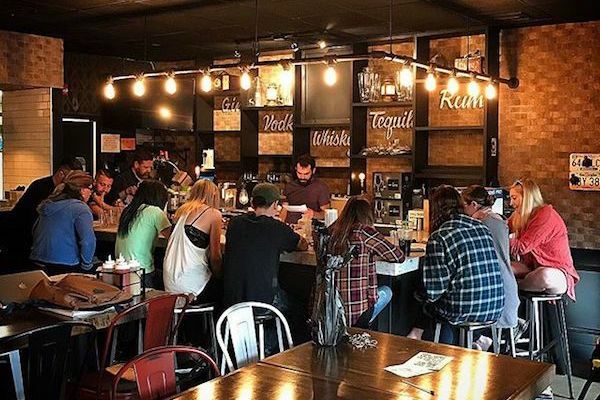 Tables are bare, walls are tile, over head fans spin away and both a sizable bar and an open kitchen hum with action. 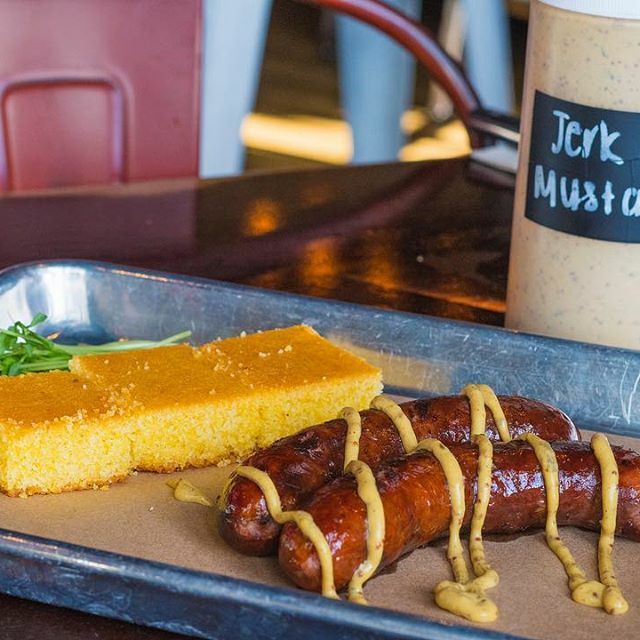 There are picnic tables outside while jerk mustard, hot sauce and two types of barbecue sauces (one spicy) adorn every table. You get the idea. Radio Radio isn’t fancy; it’s fun. Nor is it strictly a barbecue restaurant, though the smoked meats are available. Rather, it’s an informal southern style restaurant serving everything from tacos and meatloaf to fried green tomatoes and chicken, all of it with a southern slant. 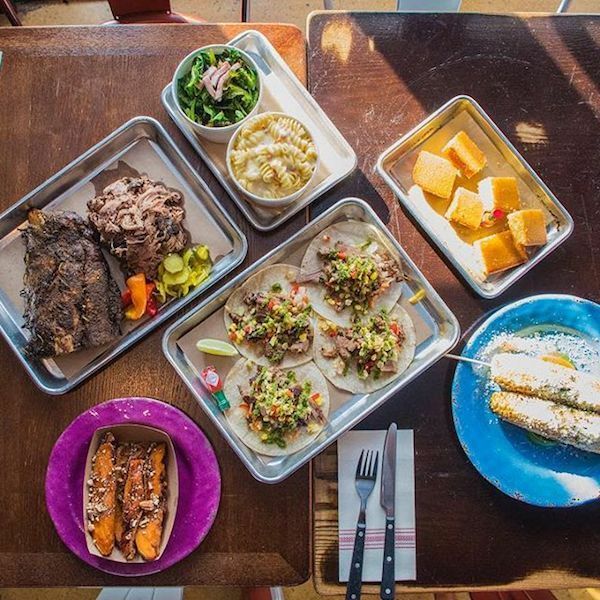 The four traditional barbecue dishes (Murray’s chicken, Duroc baby back ribs, Niman Ranch brisket and Berkshire pulled pork) aren’t even on the menu but are listed on wall boards. We tried a couple of a la carte sides to start out: a generous portion of fingerling vinegar touched potato salad and some tasty baked pit beans loaded with strands of meat (or over loaded for diners who just want beans). 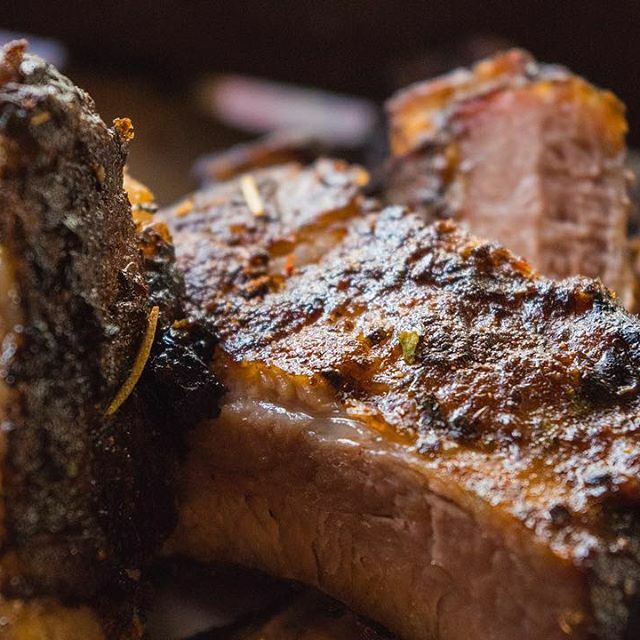 We followed that with two humongous slabs of moist, mellow, fat fringed brisket and a half rack of buttery-soft, rather husky baby back ribs sporting a crusty charred surface. Corn bread, which accompanied most dishes, would have been better had it been warm. Diners who want their barbecue meat to yield a strong smoky flavor might be disappointed, but I thought the lightly subtle smoky flavor to be just right. An excellent non-barbecue pick is the soft shell crab special replete with tiny tomatoes, bread squares and stripes of golden goddess mayo. We finished up with a dessert called Key lime parfait. It was delicious but its ice cream and crusty Graham Cracker bits were its dominate flavors. There was only a tiny touch of anything Key lime-ish.